It’s Wednesday, the 6th of February and the team just wrapped up an enjoyable dinner together. 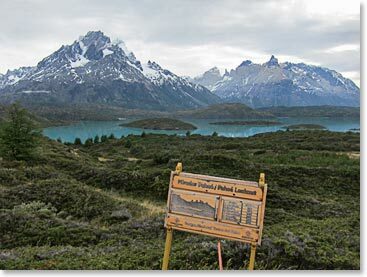 Today, we are in refugio Paine Grande, and at the edge of the charming Pehoé Lake enjoying the beautiful green, glacier water. 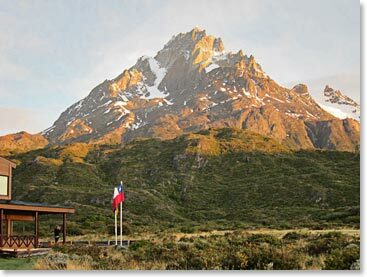 The entire team has completed the traverse now that we’ve left Los Cuernos last night. We have one more leg of the “W” trek to complete tomorrow, which I know the entire team is looking forward to it. After that, we are hoping to be able to trek over to see the infamous floating icebergs in Lago Grey. Everyone is in great spirits and in great health. We walked for about nine hours today and we are feeling truly blessed by the amazing weather we have been getting. 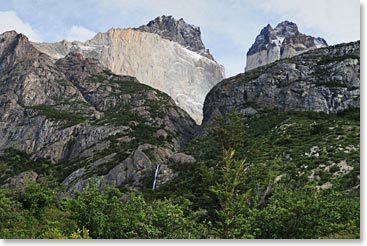 Great weather makes for a more enjoyable trek as we get clear views of all the Torres del Paine, Cuernos, and now Paine Grande massif. We are in an area with very limited connectivity, so we will share more photos with you when we are back online! 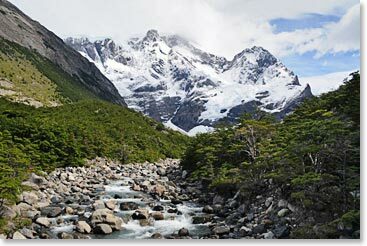 Can you spot the waterfall on this beautiful mountain?